It was the lot of the holy Prophets to bring God’s Word to Israel. This duty and honor wasn’t always greeted by the people with open arms. When God’s Word comes up against our sin, there’s going to be a war of sorts. The LORD sends his Word to Israel through Isaiah and it only causes them to cry out in self-righteous indignation. Verse 3 could well be translated, “Why have we suffered the burden of fasting, only for you to not reward us for it?” The implication is that the LORD is not adequately appreciating their pious efforts. In his mercy, God continues to send men with his Word, calling us out of our sin and back to him. We need this more than we know, for not only are we stubborn, but we are masters at convincing ourselves that, What we desire could never be sinful, and that, God could never be opposed to my will—after all, the fact that God and I are so very much alike is one of the things I like most about him. 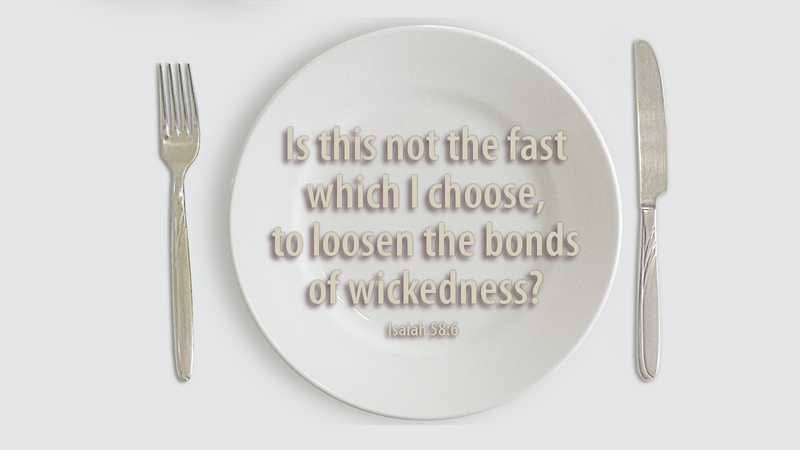 True fasting presupposes a submissive heart, turned toward penitence and obedience, and a desire for his will over ours. Prayer: Father, grant us thy Spirit, that by your Word, we may know your will and obey it. Amen. Today’s devotion was written by Wesley R. Frye, Pastor of Christ’s Evangelical Lutheran Church, Stanley, NC.